Say hi to Keratin Treatment! Waking up early every morning so that you have enough time to straighten your hair and go to work appropriately dressed. You have to attend a party, and everybody is ready before you, and you are still busy ironing your hair. Relatable right? We know sister the struggle is real! Between the pressures to look good and getting some spare time to relax, your looks always come as a priority – And why not? Today we live in a society where looking good and presentable is not just a need it is a necessity. But all the struggle and pain that you go through, to get perfectly straight hair is further damaging your tresses. 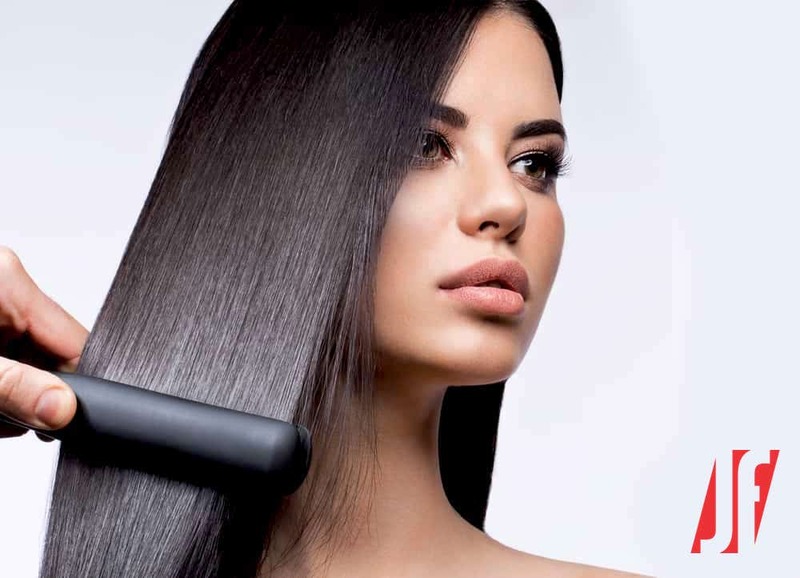 According to ‘Henri Borday’, New York’s Mizu salon’s hairstylist and corporate educator for Global Keratin, if you are somebody who usually styles their hair straight, keratin treatment will help you reduce the time by 40% to 60%. You have taken the right decision. No, don’t confuse yourself with all the click-baits that on the internet which are stopping you from treating your hair with the protein that it needs. Still, not convinced? Read on. Well, keratin is the protein that is naturally in your hair. This natural substance comprises 88% of your hair. This procedure involves the application of the keratin hair straightening product. It locks your hair with the help of a flat iron. The duration of the process depends on the length of your hair. Get the best keratin treatment and style your hair as you like. 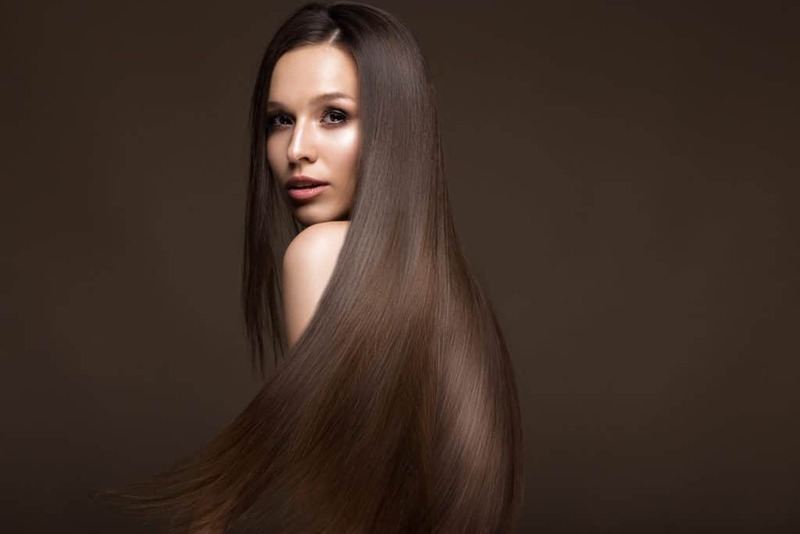 Now that you know what you want, we are here to provide you with some Do’s and Don’ts after getting the Keratin treatment. Oops got your hair wet by accident while taking a shower or the light rain caught you off guard, or you forgot to wear your shower cap while bathing. Don’t worry; there is a solution to this problem. Blow-dry and flat iron your hair if it gets wet within 72 hours right after getting the treatment. Are you excited after finally getting the keratin treatment? Great! But you still can’t wash your hair yet. Wait till 72 hrs get completed after getting the treatment otherwise all the time invested in the process will go vain. 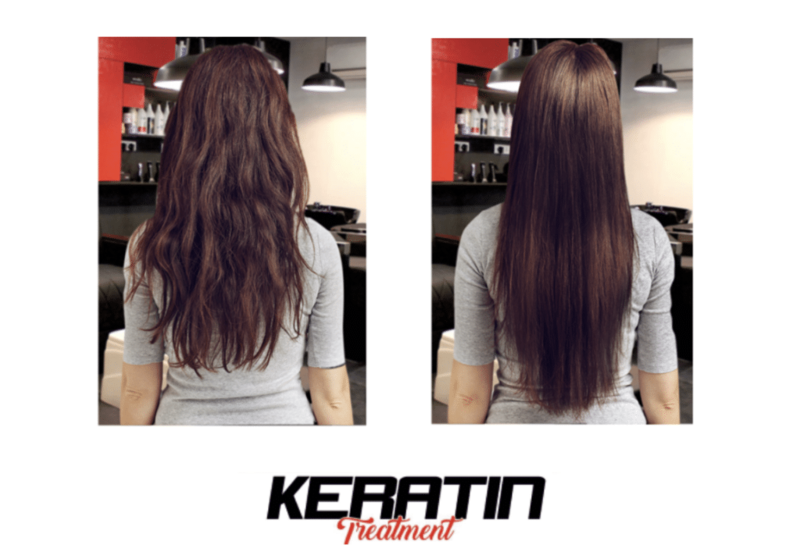 As keratin treatment is semi-permanent, you will ruin your hair by washing it right after the procedure. Many girls are not comfortable with keeping their hair open all the time. You might find it unmanageable and hard to function. All you ladies can cover your hair with a silk scarf to pull your hair back from your face. This way you will shield your hair from dirt, and your hair won’t bother you by coming on your face again and again. It is the most important step to let your hair shine have the keratin shine for a more extended period. Choose shampoo and conditioner that have micro keratin in it. It will help you maintain your hair better and let it remain smooth for a more extended period. If you love swimming and can’t live without it, then wash your hair with clear water and use a deep conditioner or serum oil. The salt/ chlorine present in the pool water is not good for your keratin treated hair. You no longer have to worry about your frizzy hair. Climate change will no longer affect the quality of your hair, and you can hang out with your friends with confidence. We have news for all the gym freaks out there. Start your gym routine two weeks after getting the keratin hair treatment. As exercising in the gym will make you all sweaty, you will feel the need to wash your hair. Wait for at least two weeks and carry out with your gym routine. Using a clarifying shampoo before getting the keratin hair treatment is beneficial as it helps in removing the dirt from your hair. Yes, it does help your hair absorb keratin faster, but you should use it before the treatment. As it cleanses the hair properly, it might end up washing the keratin from your hair. Forget about making ponytails or any other type of updos as you will spoil your hair post-treatment. Even putting your hair behind your earlobe after the keratin hair treatment is prohibited. If you are in the habit of using hair clips, headbands or any other type of hair accessory, then you might want to stop doing that after the treatment. For two weeks bid goodbye to all the headgears that you own as your hair will get curly from certain areas. Cotton pillow covers tend to make your hair frizzy and dry as they absorb moisture from your hair. Due to friction caused by cotton pillow covers when they come in contact with your hair they might form tangles and knots which is not good for your hair. Who doesn’t want silky, soft hair and once you get it you are tempted to feel it again and again. But touching your hair more often make it greasy, and you might want it to wash it more often. Yes, you can get up every morning as you like without going through the hassle of ironing your hair early in the morning. You will be instantly ready for all kinds of events or any hang out plans with your friends. 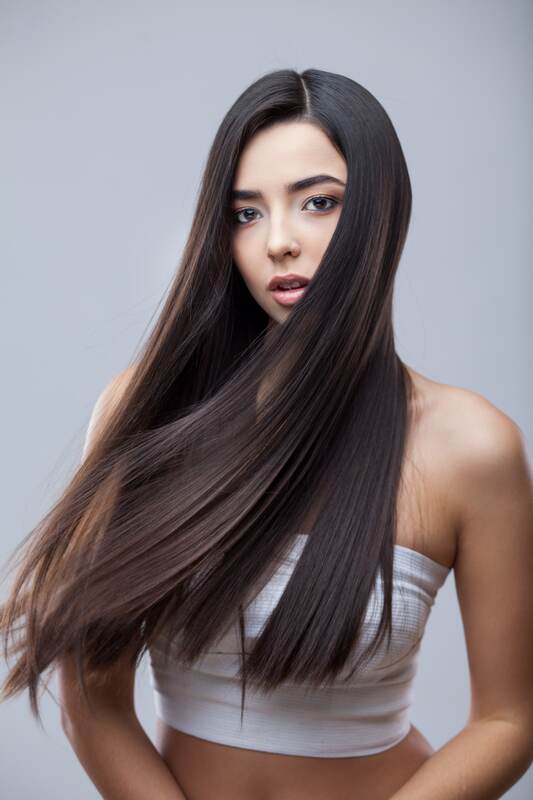 Want to get the best keratin treatment in the twin city? Come to Just Flaunt as we have some expert stylist who will provide you with the best keratin treatment and give you the desired look. You’re going for a date or a night out with the girls and of all things that could go wrong, you’re hair refuses to sit still. This is where the benefits of a good hair spa come into play. A good hair spa helps in giving your hair the strong and deep conditioning it so desperately needs. 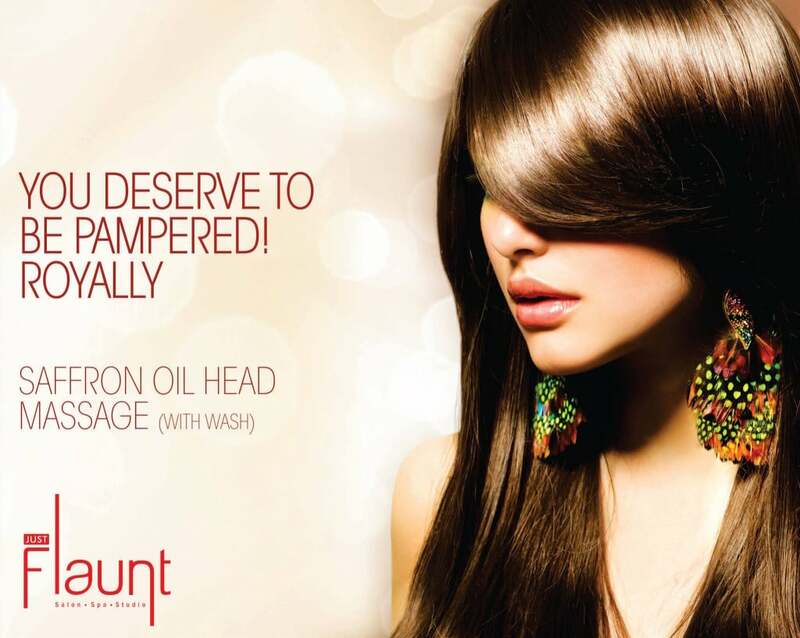 Your hair gets nourished and shines brighter than before after a good spa treatment. The oil secretion of the scalp can be controlled. It rehydrates the scalp without causing dryness of the scalp. Dandruff is one of those itchy, annoying flecks in your hair that refuses to get destroyed. A good hair treatment helps in keeping these things away. These problems are caused mainly because of stress, climatic conditions, hormonal changes, and improper maintenance of hair. By taking up spa treatments, relaxation and reduced stress level are ensured. This also ensures a quicker re-growth in hair length. A good spa treatment prevents aging of the scalp. It ensures the long life of your scalp and makes sure that there’s no damage to it. A spa treatment is a very effective method since it involves the massaging the scalp so that blood circulates properly. This helps scalp from the problem of aging and prevents itching. 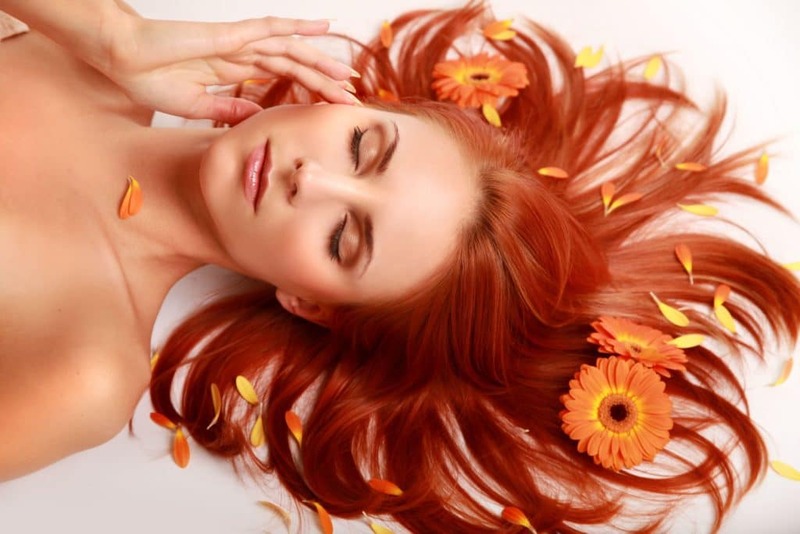 An obvious overall benefit of a good spa treatment is that your hair ends up becoming thoroughly nourished. It normalizes the oil secretion and makes the hair silky and smooth. A balanced diet and a good lifestyle with the proper hair treatments can give you really good results. Do it regularly and notice soft and silky hair in no time. Stay healthy, stay gorgeous. These are just some of the many benefits that make a hair treatment so great. To actually experience the long term benefits, get a complete hair spa treatment at Just Flaunt salon. Visit: www.justflaunt.com to book an appointment now. While you’re at it, check out our amazing hair spa treatments and get the one that suits your needs the most. Hair spa for an even greater New Year! Since time immemorial, men and women have taken care of their crowning glory, that is, the hair on their head. The most simple hair treatment regimes like get an oil massage or a simple head massage are no longer followed. These ancient rituals have been cast aside for a modern and effective rejuvenating treatment. Now, people prefer going to the parlour and getting a hair spa – the complete hair therapy treatment. There are a lot of factors, which when they come together, work against your hair and result in damaged, dull and lackluster hair. Stress, overworking and poor eating habits are just some of the factors that result in bad hair. In a world where everyone is always running and busy, hair care is generally ignore. With the right hair spa therapy, the damaged and lackluster hair is brought back to life. Hair spa involves various treatments like massage techniques, use of aroma oils, toners and conditioners. The results are nothing short of amazing. 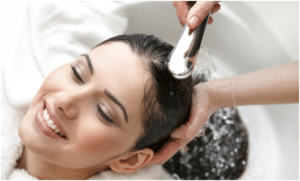 Hair spa involves the process of rejuvenating the stresses and recreating the shiny hair that was once there. How regularly should you get a hair spa? With pollutants always there in our surroundings, our hair stands more of a chance of getting damaged. Getting your hair done and visiting the spa at regular intervals may seem like an extremely relieving process. However, there are some drawbacks to it as well. Prolonged exposure of hair to chemicals could cause damage to your hair, making it difficult to maintain it. The most ideal time to get a spa treatment done would be before a hair cut or before getting your hair coloured. This helps in retaining reducing the amount of hair fall. 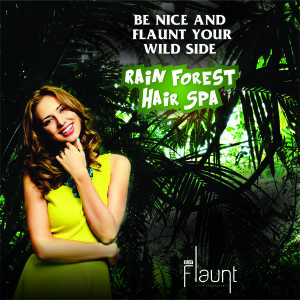 For the best spa deals and rejuvenating treatments, visit: justflauntsalon.com and book your appointment now!